The Volcano House screens two movies about Iceland’s volcanoes, each one emphasizes a different one of Iceland’s most famous eruptions. 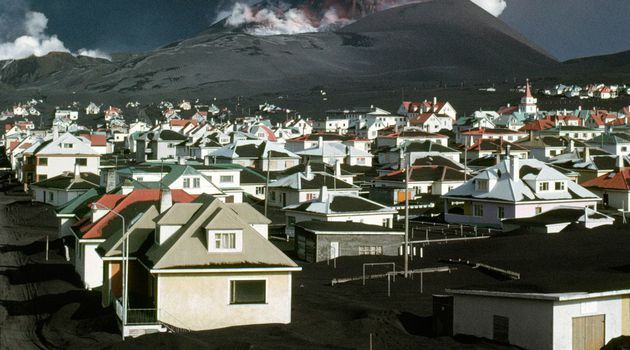 In the movies, gripping Emmy-nominated footage and riveting images take you back in time, allowing you to experience those momentous eruptions from the comfort of our in-house cinema.The former documentary focuses on the Westman Islands eruption of 1973, which covered half the town in lava and the other half in ash. The second one screens Emmy-nominated footage of the 2010 eruption of Eyjafjallajökull as well as the lesser-known eruption of Fimmvörðuháls in the same year. Westman Island 1973 – eruption in your back yardThis 24-minute documentary contains stunning footage from the 1973 eruption in the Westman Islands. This eruption started without warning right next to the town at midnight on January 23rd, 1973, in a place where there had never been an active volcano before. The population of over 5,000 people was evacuated by boat to the mainland where they remained until the eruption stopped, seven months later. Dramatic and unforgettable footage of the brave rescue operators working within sight of the blazing inferno to salvage the town before it went up in smoke. Eyjafjallajökull 2010 – the day the earth stoodstill (or at least the day Europe didn’t fly…)This stunning documentary features breathtaking aerial views and footage, was produced by the Emmy-nominated director Jóhann Sigfússon, who has also produced nature documentaries for the BBC, National Geographic and Discovery Channel, amongst others. This striking film documents the eruptions of Eyjafjallajökull and Fimmvörðulháls in 2010, which caused millions of people to be stranded worldwide as thousands of flights were cancelled. This films also gives a good insight into the general geology and volcanology of Iceland. 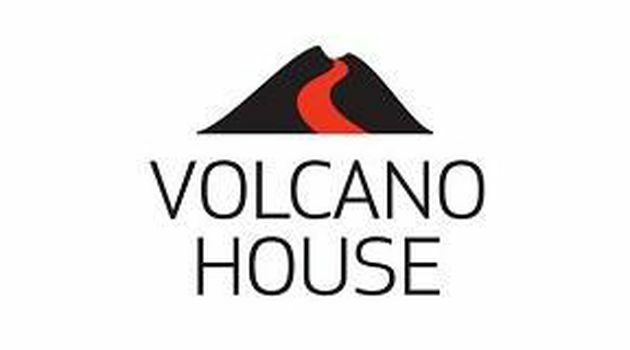 Open ticket - the Volcano House shows the documentaries every hour on the hour.